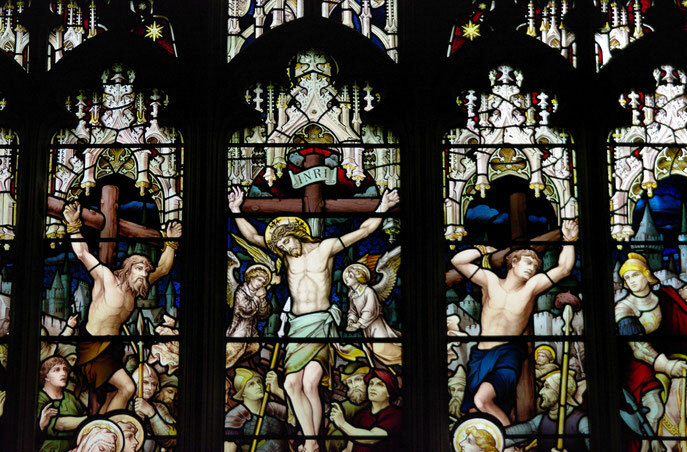 Stained Glass Church Windows - Website of robertleader! 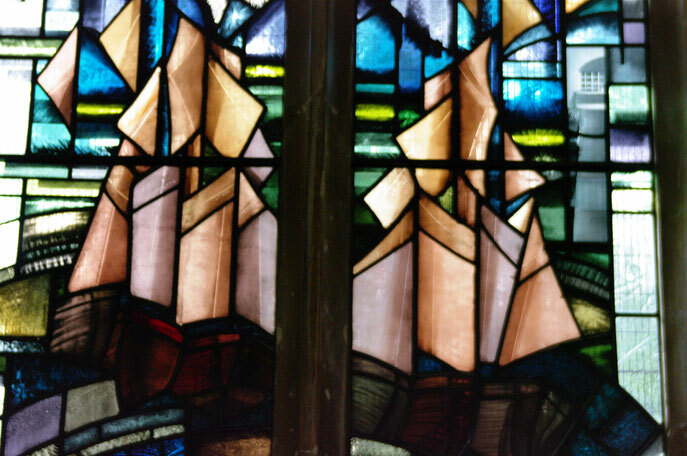 I have recently been visiting a lot of churches and photographing the best of their stained glass windows. 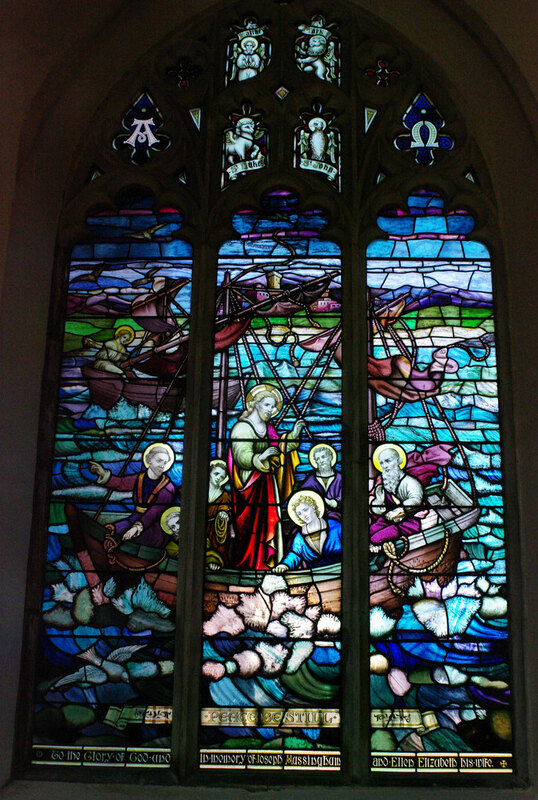 These glorious multi-coloured images usually tell Bible stories or represent Biblical themes, but many are memorial windows, to benefactors, lost lifboatmen or fishermen, or the dead of two world wars. My editor at Suffolk/Norfolk Life Magazine has agreed to run an occasional series of features on stained glass church windows and there is an amazing wealth and variety of material. Some of them are pictured below. 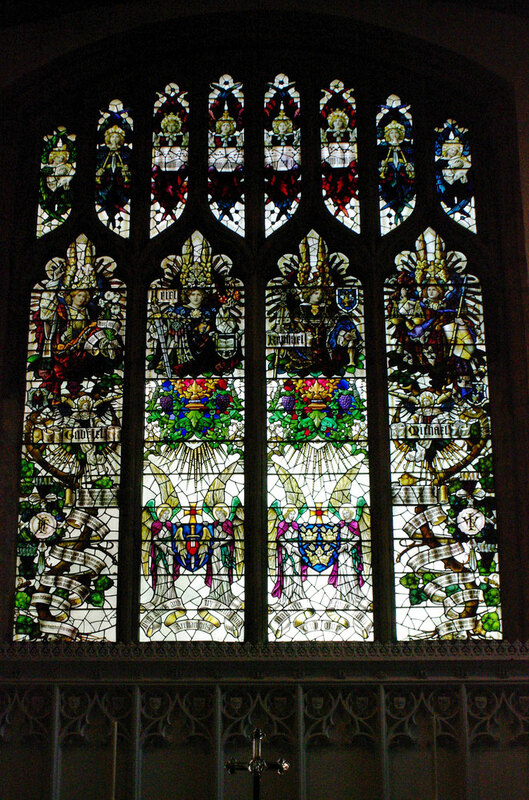 Four Archangels: Gabriel, Fiel, Rafael and Michael, St Mary's, Bury St Edmunds.